Takeoff, aka the last space cadet, has successfully landed his debut album. Viewed by many Migos purists as the trifecta’s sharpest lyricist, Takeoff has been steadily building hype. Some have wondered how the youngest Migos rapper will fare on the solitary tip, and The Last Rocket will no doubt answer your burning queries. Lead single “Last Memory” set the tone on a promising note, though many were curious to see what stylistic experiments Takeoff delivers on his big break. Like the universe, the potential is seemingly endless; does Takeoff have the will to explore it remains the evening’s most pertinent question. 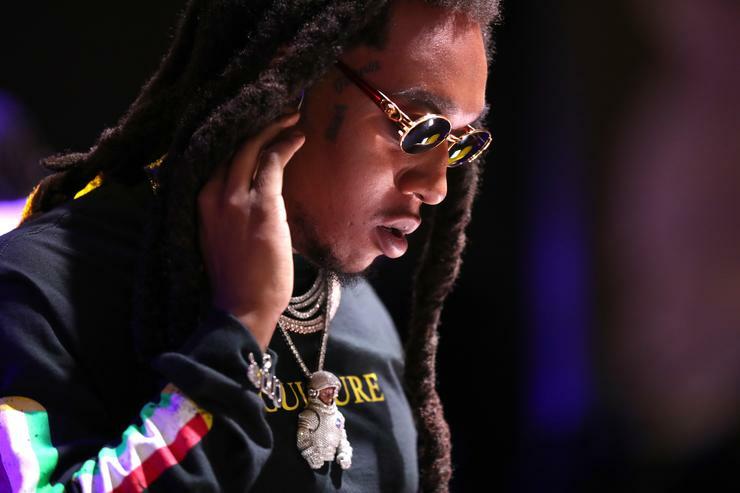 As for the project itself, Takeoff’s The Last Rocket features production from frequent collaborator DJ Durel, Cassius Jay, and more. Where guest appearances are concerned, Quavo and DAYYTONA FOX are the only two artists credited with features. At first glance, that may seem like a scarce list of guests, but The Last Rocket may have appearances that Takeoff decided to keep unlisted. For now, Takeoff fans can take solace in knowing their savior landed on the moon unscathed.